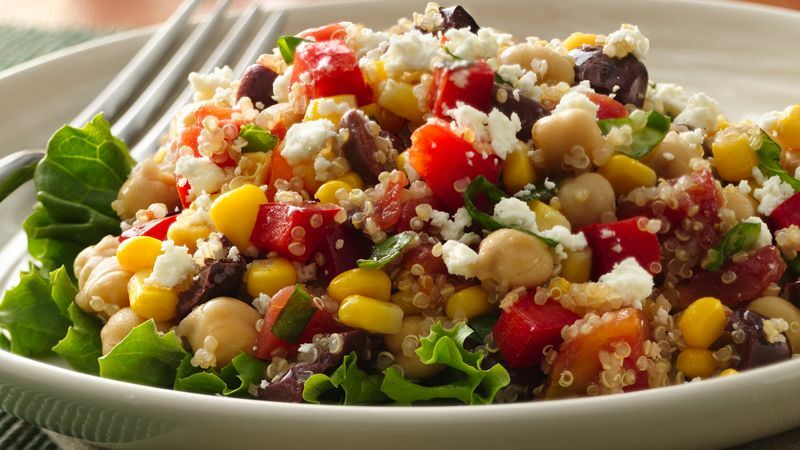 In large bowl, gently toss cooked quinoa, beans, corn, tomatoes, bell pepper and olives. Pour dressing over quinoa mixture; toss gently to coat. Serve immediately or refrigerate 1 to 2 hours before serving. Just before serving, sprinkle with cheese. Garnish with basil leaves if desired.